Most garage doors will have one problem or another over the course of their lifespans. Common garage door problems generally require a quick fix by the homeowner or a professional garage door technician. 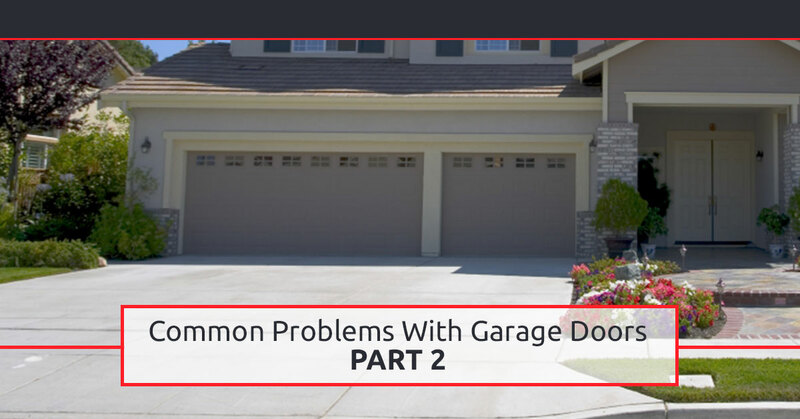 In a previous blog, we began to discuss common problems you may experience with your garage door, and how you can address the issues. To continue learning about how to handle common garage door problems, keep reading! 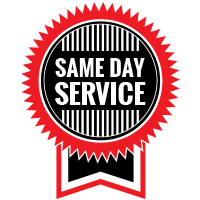 And If you’re in need of any garage door services in Indianapolis, be sure to call our experts at Garage Door Doctor. #6. Your garage door is completely stuck in one spot. If your garage door has been experiencing problems over time and they haven’t been addressed, you may go to use your garage door one day and experience the door getting completely stuck in one spot. This problem is generally caused by a bent track that has gotten to the point where the garage door wheels can no longer get past the bend. The other factor that could contribute to this problem is your door’s cable or extension spring pulley has completely broken. When you start to notice that your garage door is not opening and closing smoothly, it’s important to have your door inspected for problems before you’re left with a non-functioning garage door. #7. Your garage door makes loud noises when it is opening and closing. If your garage door is making loud noises, such as squealing, screeching, or grinding, when it’s opening and closing, it’s likely due to dirt and debris in the door’s track. Another factor that may cause your garage door to make unwanted noises is a lack of lubrication on the door’s track. You should regularly check your garage door’s track to ensure that it’s clean and properly lubricated. #8. Your garage door will not open with the use of the remote control or the wall switch. When your garage door opener works with the wall switch but not the remote, it’s likely due to an issue with the remote’s battery, which can be easily fixed. However, if both the remote and the wall switch are not working, the problem probably lies in a disruption of power between the garage opener and its electrical connection. Check that your garage opener is properly plugged in and that the outlet is functioning. If that has not solved the problem, you will want to check your circuit breaker to reset the connection. #9. The garage opener’s motor does not stop running after the door has opened or closed. If your garage door opens and closes without problem, but the opener’s motor does not stop running after the garage door has completely reached the open or closed position, it may be due to the door’s limit switch being too close to the opener’s motor. You should also check to ensure that the limit switch can handle the opener’s motor current. #10. Your garage door lowers to the ground too quickly. If your garage door is closing at a faster rate than normal, your garage door likely has an overly loose cable or a broken spring. This can be a dangerous problem due to the heaviness of your garage door and the possibly injuries or damage a falling garage door could cause. Replacing springs and cables can be dangerous, and the job should only be done by a professional garage door technician. Aside from the fact that a garage door that is not working properly can be annoying, it can also be dangerous if it’s left uncared for. When you begin to experience problems with your garage door, inspect the problem to see if you can find a solution or if you need to call a professional. 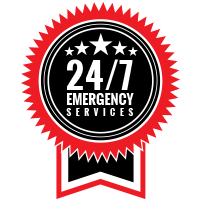 When you need garage door services for your Indianapolis home, call Garage Door Doctor.